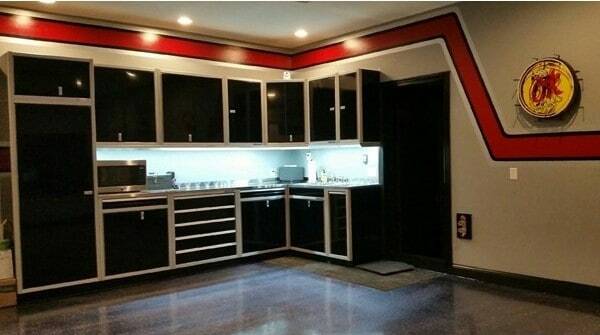 For anyone wishing to make their garage a functional area, the following accessories will clear space, keep you organized, and have useful utility and investment longevity in the future. As you accumulate tools over a lifetime, you will need a way to organize and store them all. Nothing can damper progress like the needless search for a misplaced or lost tool or item. Mobile toolboxes and workstations can be extremely useful in keeping all your tools and items organized and right where they belong. 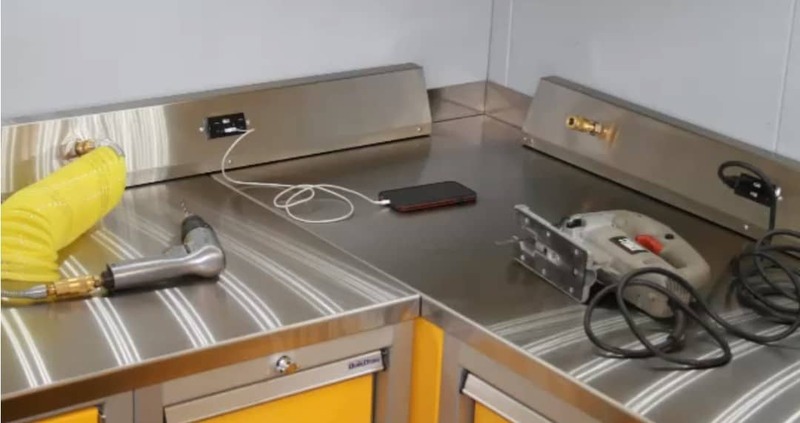 A significant advantage of a mobile toolbox is it can be moved into areas of heavy use and out of the way once a project is completed while keeping tools organized and in one place. Drawer liners will protect both the cabinet and your tools from scratches and marring. Drawer dividers can keep parts, tools, or hardware catalogued and separate. Storage bins can be rearranged with ease and keeps your parts, pieces, and tools neatly organized. An ideal way to really create storage space is the usage of aluminum garage cabinets with shelving. 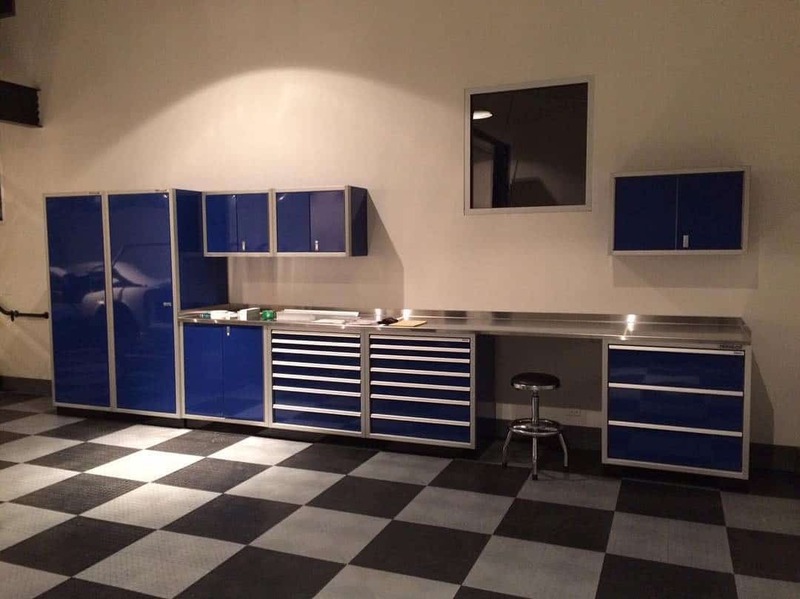 Modular cabinets are a great addition to any garage looking to enhance its organization, storage, utility, and visual appeal. 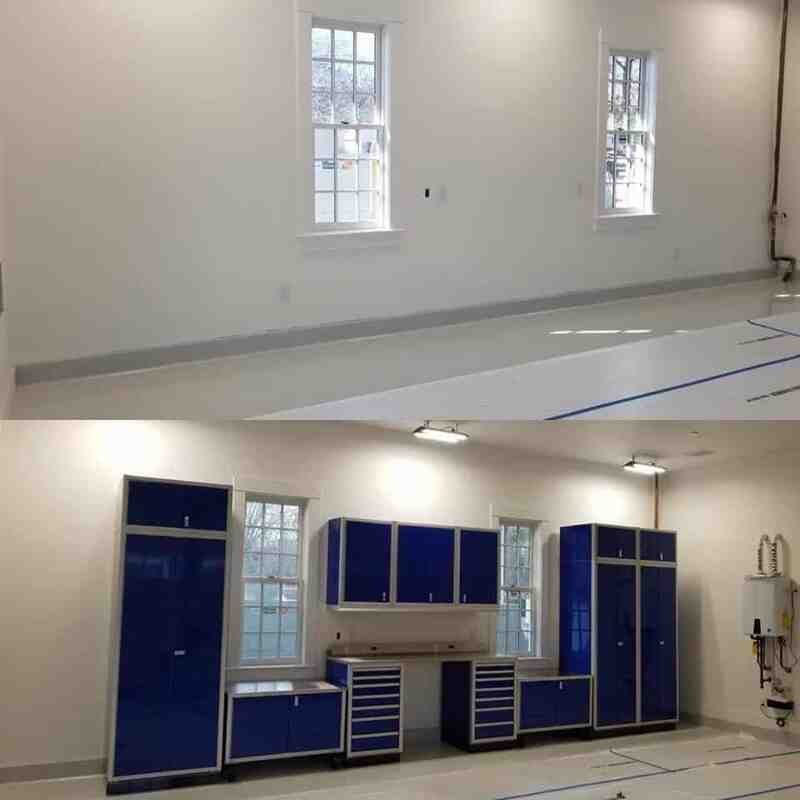 High alloy aluminum cabinets are a definite better investment than wooden or wood laminate comparisons as wood and wood laminate cabinets break down over time and are not built to last. It is truly a better option to ensure longevity and a lifetime of use by buying aluminum cabinets. Shelves are an excellent accessory that to maximize space. Whether you install shelves separately or combine them, shelves are great at storing larger, bulky items. Power grid stations are extremely helpful as they are accessible and not in a wall outlet behind or underneath the cabinet. Enjoy not always needing a power strip or extension cord to coil and wrap around to your work area. Having the convenience of accessible power grid stations can be blessing. Light shields and LED Lighting can assist in keeping your work area well lit. Eliminate glare through the usage of direct lighting from under the cabinet. LED lighting can keep the environment cool but brightens the work area and surface all while maintaining low power and energy efficiency. One can try to get by with the standard concrete slab that is on a garage floor. But it is far better to protect the floor from spills or dropped objects via the usage of better flooring. RaceDeck® is a professional, top-of-the-line tile manufacturer and they manufacture their tiles in the U.S.A. RaceDeck® has a multitude of styles and colors to choose and their tiles are installed within hours. For a truly incredible way to accessorize your garage or storage space, upgrading your flooring can give visual appeal, personality, and better protect your surface. 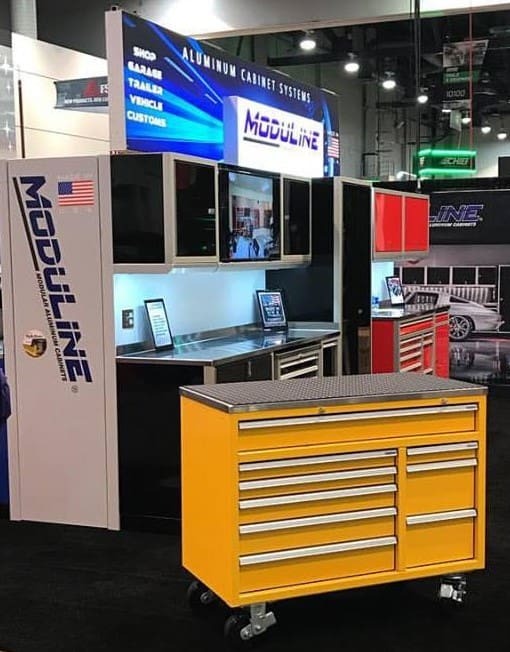 At Moduline Cabinets, we offer top quality accessories and storage options. Our team members are happy to assist you with selecting the best accessories to match your needs. Call us for a complimentary design consultation at 888-343-4463.